Researchers at the Garvan Institute of Medical Research, Neuroscience Research Australia (NeuRA) and UNSW Australia are embarking on a collaborative project to sequence the genomes of individuals in families living with bipolar disorder. In doing so, they anticipate identifying some of the complex genetic factors that underlie the disease. The project is supported by the MLC Community Foundation. Bipolar disorder, which is characterised by episodes of mania and depression, is a debilitating disease that requires lifelong treatment. Bipolar disorder runs in families, so researchers know that genetics must contribute to the disease – but it has been very challenging to identify the specific genetic signatures involved. 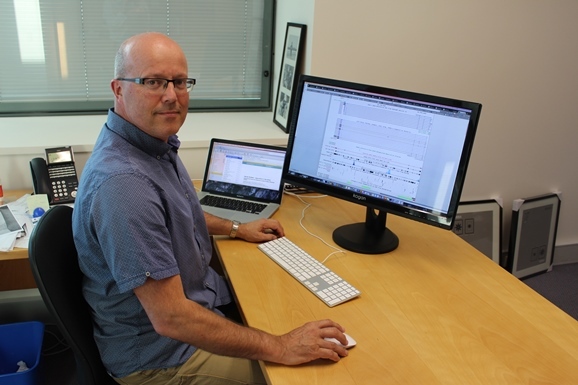 Now, Associate Professor Antony Cooper (who heads Garvan’s Neuroscience Division) and colleagues will use next-generation whole genome sequencing and bioinformatic analysis to identify genetic differences that associate with bipolar disorder. The team will compare the genome sequences of individuals with bipolar disorder and members of their families with the genome sequences of unrelated healthy individuals, in order to identify genes that contribute to the development of bipolar disorder. The project will draw on Garvan’s considerable expertise in genome sequencing and analysis. Garvan is home to the Kinghorn Centre for Clinical Genomics (KCCG), which is the largest sequencing centre in the southern hemisphere. Genomic data from the project will also be contributed to the Bipolar Sequencing Consortium, which pools data from studies worldwide to enable further insights into the pathogenesis of bipolar disorder and related psychiatric conditions. Collaborators Professor Peter Schofield and Dr Jan Fullerton at NeuRA and Professor Philip Mitchell, who heads the School of Psychiatry at UNSW Australia, identified the family members whose genomes will be sequenced. They have a strong track record of research and gene discovery in bipolar disorder. A/Prof Cooper says, “This project is very much a close collaborative effort between Garvan, NeuRA and UNSW. Prof Schofield, Dr Fullerton and Prof Mitchell have meticulously established large cohorts of individuals with bipolar disorder and their family members, making it possible to select family groups whose genome sequences are likely to yield answers about the disorder. The MLC Community Foundation has been working with Garvan for many years to improve the health of our community. The two organisations are historically intertwined: Garvan was founded on the basis of a generous gift of £100,000 in 1961 by Mrs Helen Mills, the daughter of James Patrick Garvan (who founded the Citizens’ Assurance Co., now MLC, in 1886 – and whose name the Institute bears). In recent years the MLC Community Foundation has contributed more than $1.4 million to Garvan’s medical research. Most recently, the MLC Community Foundation invested significantly in a novel study into mood disorders and schizophrenia, and in supporting Garvan’s Flow Cytometry Facility. Together, Garvan and the MLC Community Foundation hope to improve mental health outcomes for all Australians.